How Do I Know I’m on the Right Track? Gratitude & Grace! Today’s post celebrates the launch of my book “Inspiration for a Woman’s Soul: Opening to Gratitude and Grace” featuring my transformational story, “Following Love” and just released by bestselling publishing house, Inspired Living Publishing! This collaborative, soul-nourishing project features 37 additional female authors who, together with me, share intimate stories of surrender, self-discovery, and transformation. 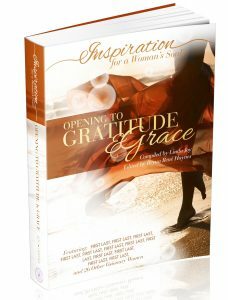 More importantly, we share how, through the power of gratitude, we discovered grace in the midst of life’s challenges. I’ve always been a big believer that the Universe conspires to support my every desire…. And, although I have a lot of faith in the unseen, it’s always nice to get the nod from the higher power — you know, that synchronistic happening that clearly demonstrates you are on the right path. That’s exactly what I write about in this new release “Inspiration for a Woman’s Soul: Opening to Gratitude and Grace.” For me it’s all about asking for what I desperately needed to feel better about a huge change in my life, keeping myself open to receiving, and then relinquishing my fear of moving forward. My story is just one of 38 stories from women who know what it feels like to experience profound gratitude for the life all around. 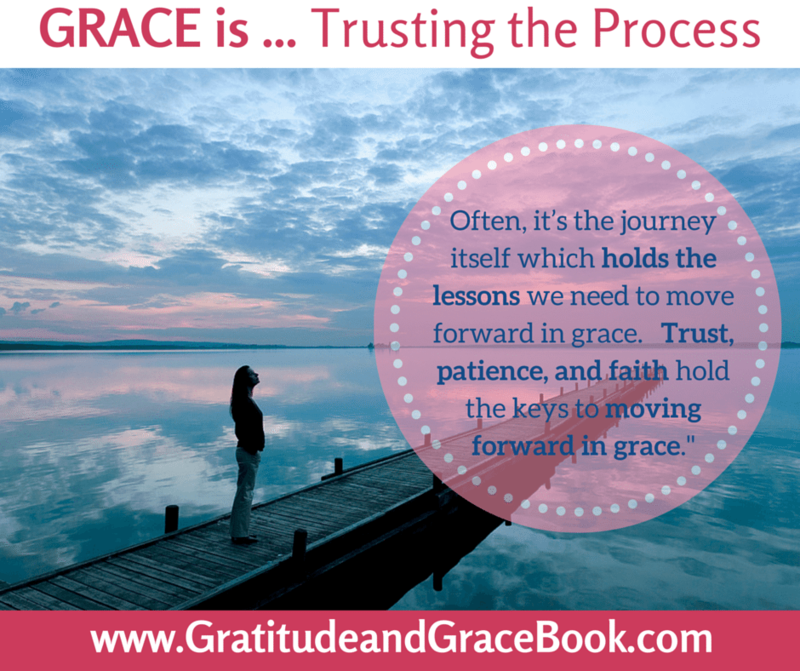 In addition to the chapter that I’ve contributed to on Trusting the Process, you’ll also find six additional inspiring chapters on Choosing Wholeness, Releasing the Past, Trusting the Process, Our Heritage, Breathing Through It, Grace Within Us, the Feminine Connection—and how grace can be seen throughout. Opening to Gratitude and Grace is the final book in the book in the best-selling life-changing trilogy that includes international best-selling phenomena, Inspiration for a Woman’s Soul: Cultivating Joy and Inspiration for a Woman’s Soul: Choosing Happiness. Our incredible stories prove that when we embrace gratitude in every moment, even when our current circumstances reflect something vastly different than what we desire, we invite grace into our lives.The three Reflection Questions after each story create a unique ‘active reading experience’ which will help you apply these vital lessons in your own life. Everyone loves a nice gift…. ORDER YOUR COPY TODAY and receive over 60 transformational gifts and more. I promise these inspiring stories of healing and transformation will touch your heart and remind you of the power of gratitude. ORDER #GratitudeandGrace TODAY! I’ll see you at the party!